Pro-level gamers know that if you’re not improving, you’re just a stepping stone for someone who is, and the same goes for your gear. Upgrade your mouse to the HyperX Pulsefire FPS Pro RGB Gaming Mouse and give your setup a shot of RGB style and headshots to anyone foolhardy enough to drop near you. 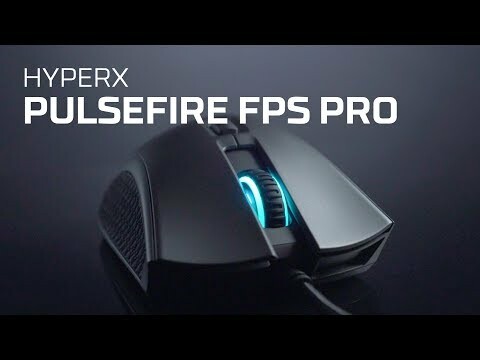 The Pulsefire FPS Pro uses the premium Pixart 3389 sensor, which is capable of tracking at up to 16,000 DPI with no hardware acceleration, to give you the reliable precision you need to hit your shots before your enemy lines up theirs. The ergonomic design is crafted to comfortably fit in your hand and not slip when victory is on the line. Set up your mouse just the way you like with its six programmable buttons in the easy-to-use HyperX NGenuity software, and save your config directly to the onboard memory. Omron switches provide crisp, tactile feedback so you’ll know that your clicks have been registered. Extra-large skates give the Pulsefire FPS Pro a solid base for smooth, controlled gliding that allows you to both track and flick with ease. Features • Pixart 3389 sensor with native DPI up to 16,000. • Easy customisation with HyperX NGenuity software. • Onboard memory to store customisations. • Extra-large mouse skates for smooth, controlled gliding. 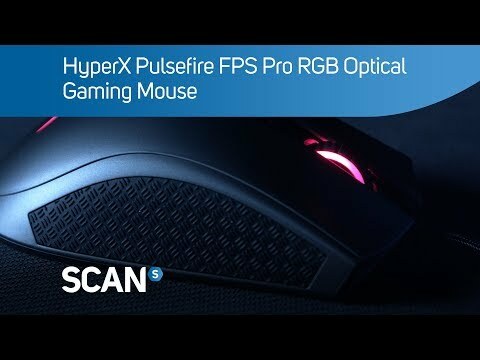 HyperX Pulsefire FPS Pro Gaming Mouse, Optical, RGB, Omron Switches, 16000dpi, Wired, USB, 6 Buttons is rated 5.0 out of 5 by 1.